We believe shooting takes constant practice to maintain peak perfection like any skill in life. 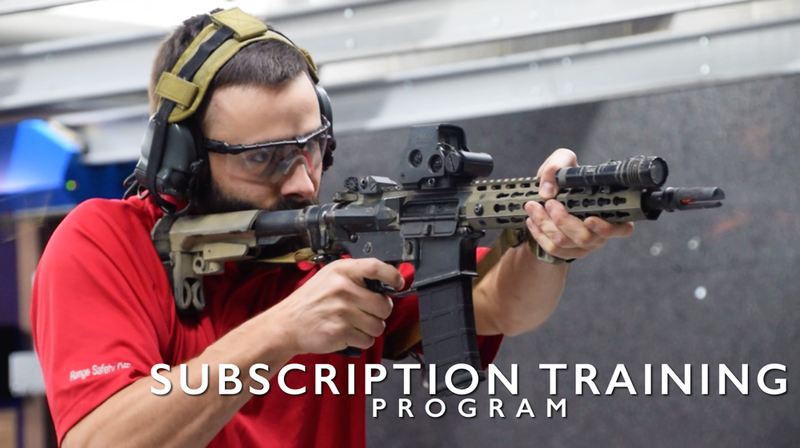 Our team of instructors have put together a thorough program designed for shooters of varying skill levels to get in regular practice, while also learning some new skills along the way. This is a great opportunity to take advantage of the full gamut of what our education has to offer. Students can sign up for individual courses or join a monthly subscription at a discounted rate for unlimited access to any of our subscription courses. Courses and events will change monthly and remain flexible based on student feedback, and to better fit our shooter’s needs. Every subscriber is highly encouraged to sign up for this program with our convenient automatic payment option. After 6 months in this program, students enrolled with automatic payments will receive one free month added on to their subscription. This initial program will only be offered at our Kennesaw location. That being said, subscription courses are coming soon to Powder Springs! Hosted every Wednesday Night and Mid-day Mondays, these courses will focus on performance development. With varying courses of fire every week, alternating between pistol and rifle drills, students can expect to go down range and take on a variety of topics including drawing from the holster, shooting while moving, engaging multiple targets, and more. This will be a class for shooters who want to be spun up on the basic drills that we will be practicing in the skills and drills clinics for rifle. Shooters will work all kinds of skills from reloads to target transitions and so much more. This class is for shooters of all levels but a basic understanding of how to operate a rifle safely. This will be a class for shooters who want to be spun up on the basic drills that we will be practicing in the skills and drills clinics for pistol. Shooters will learn all kinds of skills from reloads to drawing faster and shooting faster. This class is for shooters of all different levels but a basic understanding of how to safely operate a handgun is necessary. Perfect for those who want to start carrying, or are looking to brush up their practical defensive skills. Starting from getting set up with a holster and learning to draw from a concealed position. Taking some time on our Situational Training Simulator (STS), this course will tackle decision making, judgment shots, and work on draw and point shooting. Set up on our Situational Training Simulator (STS), over this course students will be lead through drills on target discrimination, decision making, as well as situational awareness. Get in some time with one of our Range Safety Officers to discuss optimum gear setup. It’s always a good idea to be prepared, but do you know what to do if confronted by an active shooter? This 2-3-hour class is designed to instruct the student on the proper civilian response to an active shooter (both armed & unarmed), Georgia laws covering using force, what to do when the police arrive and what unarmed family members should do. Students will be put through drills on our Situational Training Simulator, which places the subject directly in situations based on active shooters.